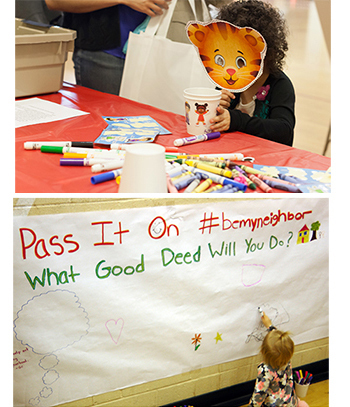 Volunteer to join WQED, PNC Grow Up Great, and Fred Rogers Productions on April 13, 2019 for Be My Neighbor Day. Join us for a day of Tiger-tastic fun! Children of all ages and families can learn about acts of kindness and participate in volunteer activities that benefit our community. Activities will include making sweater goodie bags, creating greeting cards, helping clean a park and washing a fire truck. Share your stories and photos using #BeMyNeighborDay.